The O’Hara Family Home - a fresh, new charcoal roof and gutters system! 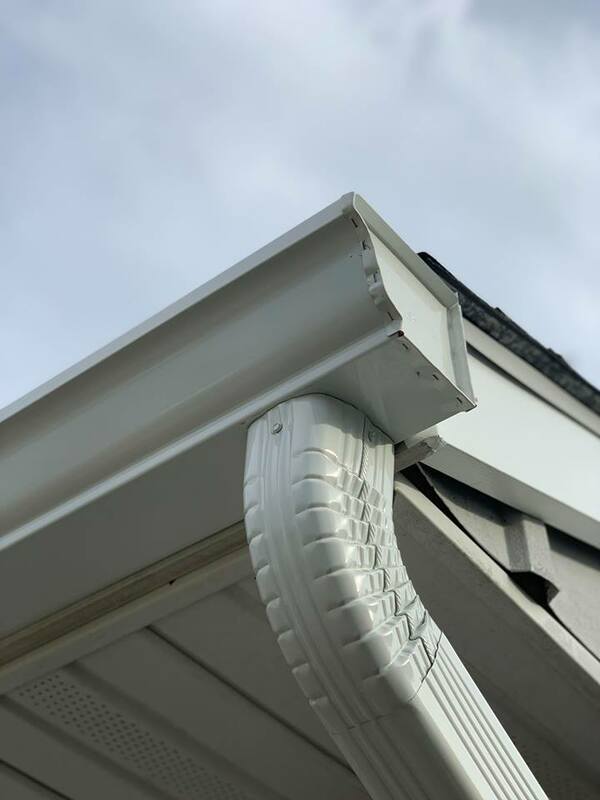 If you are getting a lot of rain this season, what better way to prevent costly weathering on your home than with a good roof and gutters system? 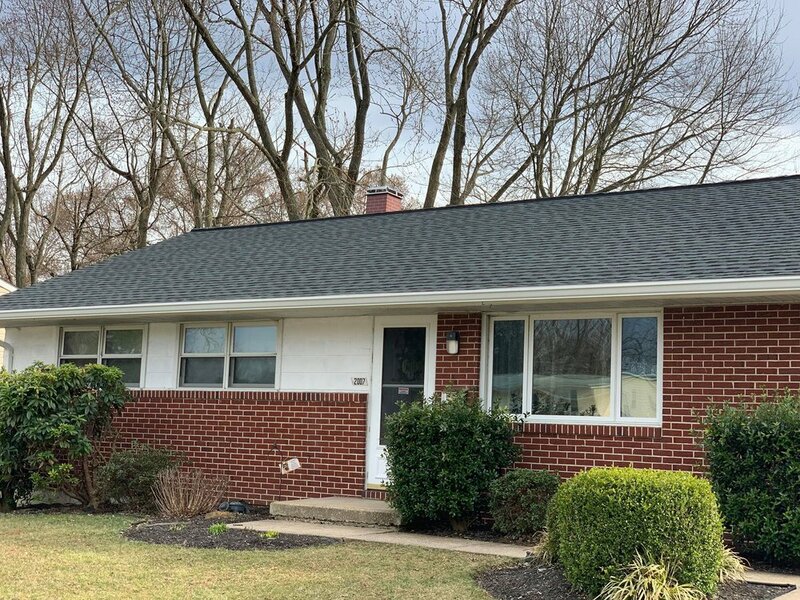 This was the case with Erin O’Hara of Edgewood, MD, who realized that the spring showers were pouring hard day after day, and it was time to take action. The Summit Crew came to his aid, and now he is more than ready for the season. 100% and I couldn’t be more satisfied. The best part about the experience was the interaction with the team, especially Neal the Summit Representative and Luis the Project Manager. I also thought the cleanup was smooth and efficient. The quality of the product, which seemed promising, is already delivering well and I couldn’t applaud Summit’s workmanship enough. Why did you choose to go through with the project? It was a great deal! The 50 year warranty was one of the big things that sold me alongside a great quality product. With the tarping around the house and cleanup process thoroughly explained, I was assured a great experience for my roof replacement. As for why I wanted to get it, it was about to be that time. Having only lived here for three years, I was shocked to discover this roof was around 20 years old! We were getting a lot of rain, too, so this was a good time to get a replacement. In need of a downpour defense? Get a Free Estimate! Ex. I have a leak. How did you learn about Summit Home Remodeling? Gutters installed for an extra layer of defense against downpours! Another Summit representative named Isaac came to my door and presented this option well. It was great timing considering I was in the market for a new roof. The fact it was a free estimate too, this was definitely a golden opportunity to seize. Alas, I scheduled my appointment with Neal and I was en route to getting my new roof. Do you see yourself working with us more in the future? Absolutely. More than likely I’ll want my siding done. Through Summit I also ordered a gutters installation which would complement my new roof, which I’m already really happy with. They really did excellent work - I even see other remodeling projects in my neighborhood who aren’t as fast, neat, and friendly in their projects as Summit is. I can’t recommend you guys more. The O’Hara family can have peace of mind whenever the next rain storm comes in. Our services ensure that there will be no leaking or rotting anywhere in your home, and we do not disappoint. You can reach us for a free estimate at 667-212-2759 if ever you want the same treatment to your home! Newer PostExterior Aging - How Long Will My Home Last?